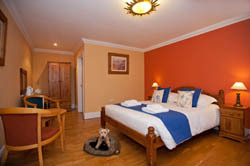 Family run Lake District bed & breakfast with scenic views over Wansfell and Loughrigg. 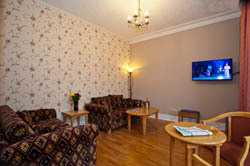 Situated towards central Ambleside, Lake District, Brathay Lodge is within 15 minutes’ walk of Lake Windermere. 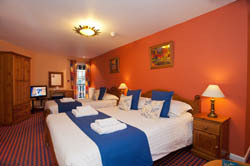 We have 20 rooms available with king size beds, these are made up of standard, superior (ground floor, pet friendly included), twin, triple, quadruple, family rooms (sleeps 3-5) and four poster suites. 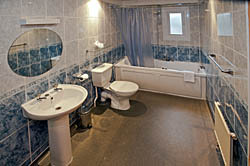 All rooms are en-suite with Jacuzzi spa bath and shower over, tea & coffee making facilities and colour TVs. 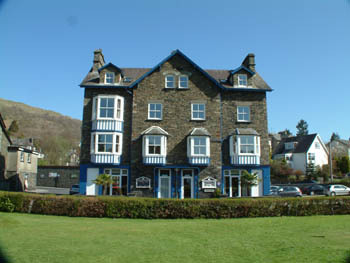 Most of our guests visiting Ambleside on a short break or as part of an even longer Lake District vacation tend to leave their cars on our large private off-road car park for the duration of their stay, preferring to take advantage of our proximity and enjoy the many local walks during the day and the restaurants and bars of the evening. Walkers / mountain bikers / golfers etc. both casual and serious, like Brathay Lodge’s informality and enjoy the facilities on offer and if it’s wet or muddy, there is always a place to dry out those wet clothes and footwear. 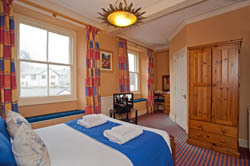 We have 20 rooms available all with king size beds, these are made up of standard, superior (ground floor, pet friendly included), twin, triple, quadruple, family rooms (sleeps 3-5) and four poster suites. 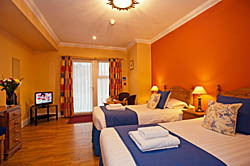 All rooms are en-suite with Jacuzzi spa bath and shower over, tea & coffee making facilities and colour TVs.